Rose Gold: Is This Romantic Pink Metal Right for You? Rose gold is a popular engagement ring trend. It's romantic and budget friendly, but there are downsides. Read this guide before buying a rose gold engagement ring. It's not hard to see why. With its pinkish hue and vintage appeal, romantics are falling hard for this pretty metal. Plus, it's a color that looks beautiful no matter what your skin tone is. So what exactly is rose gold? And are there things to be aware of? Here's everything you need to know. Yellow gold is timeless and looks great on warmer skin tones. It's the easiest to maintain and most hypoallergenic. But it's the softest and will get scratches more easily. White gold has an expensive platinum look. It's more durable than yellow gold. However, it requires more maintenance as you'll need to get it re-plated in rhodium every few years. Rose gold has a romantic pink look. It's the most durable of the 3 and won't scratch easily. But beware that the copper used may cause skin allergies for some people. There's no such thing as natural rose gold. Instead, this metal is made up of pure gold combined with alloys. 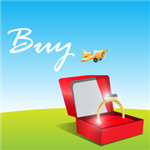 All gold jewelry (yellow gold, white gold, rose gold) sold in the U.S. is mixed with alloys. Pure gold on its own is too soft for jewelry. So alloys are mixed into it to be durable enough for wear. The difference is in which alloys are used. In rose gold, copper is mixed with gold to create the pink color. Sometimes, a little bit of silver is also used to reach the desired shade. Because of the different gold and alloy content, the color of rose gold can vary a lot. More copper content means a more reddish hue. For example, one 18k rose gold ring could be made of 75% gold and 25% copper, while another 18k rose gold ring could be 75% gold, 22.5% copper, and 2.5% silver. The first one will appear a lot more reddish, while the second one will be pinker. Did you know? Rose gold jewelry became popular in the mid-1920s, when famed luxury jeweler Cartier started using this pinkish gold in their jewelry. The most popular is their signature Trinity Ring, which is made of 3 interlaced bands of white gold, yellow gold, and rose gold. Rose gold is a super trendy metal choice right now. Here are some reasons why you may love rose gold. Romantic and vintage appeal. The biggest reason why people love rose gold is that it creates a very romantic look. Rose gold looks especially good in vintage settings, which only reinforces the old-time romantic look. Tip: I especially love rose gold with morganite. Morganite is a peachy-pink gemstone, and when set into rose gold, you can't get more romantic than that. And it's very affordable too - only a fraction of the price of a diamond. It's very durable. Because copper is a very hard substance, rose gold is more durable than yellow gold and white gold. It's less likely to get scratches and dings. This makes rose gold a good option for very active girls. It's easy to maintain. You don't need to get it dipped in anything every few years (like you'd need to do with white gold). Just take regular care of your ring and it'll keep the shine. All you have to do is soak it in mild soap and warm water and then dry with a soft cloth. It looks good on all skin tones. Some people suit cooler tones, and some people suit warmer tones. But rose gold is a universally flattering color no matter your shade or undertone. It's unique and trendy. It's super trendy at the moment, and not likely to go out of style anytime soon. But it's still nowhere near as popular as white gold/platinum, so you don't have to worry about everyone having a rose gold ring. It's also not easily imitated (unlike white gold, which looks like both platinum and sterling silver). It's good for smaller budgets. With a rose gold band, you can get away with selecting a diamond lower on the color scale. White gold/platinum will make yellow tints more easily noticed. But rose gold can nicely accommodate yellower diamonds. You can safely go down to a J diamond or even a K diamond if you like warm-toned jewelry. This can save you a ton - as much as 40% less than H diamonds. Tip: If you're looking at diamonds in the colorless range (D, E, F), then you'll want to only consider white gold or platinum. There's no point setting a colorless diamond in yellow or rose gold, because the diamond will pick up the band color and appear more yellow. If you have a copper allergy. Since so much of rose gold is made of copper, you may get skin irritations and rashes if you're allergic to this alloy. If you know you have sensitive skin, it's best to find out if you have a copper allergy before you fall in love with this rose-colored ring. The copper part can darken over time. Copper tends to oxidize over time, so the color of your rose gold ring could actually change. Your perfect pink ring could become darker and redder. This may or may not be a con, depending on your personal preference. Some people think this only adds to the antique appeal and makes it more beautiful over time. Limited availability. Particularly if you're shopping in a brick-and-mortar store, there may not be a ton of rose gold ring options for you to choose from. 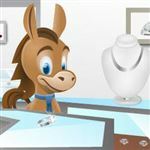 White gold or platinum still dominate traditional jewelry stores. So if you've got your heart set on a rose gold ring, we strongly recommend shopping online for the best selections. Tip: James Allen is our favorite web retailer. It has over 500 settings and every one of them has the option to be made in rose gold. There is no way that your local jewelry store will have that many selections. If you love the look of this pink metal, then go for it! I personally love rose gold for the romantic vintage look. And it also doesn't hurt that it's a more affordable choice for limited budgets. Just be aware of the few potential downsides, particularly if you have sensitive skin. 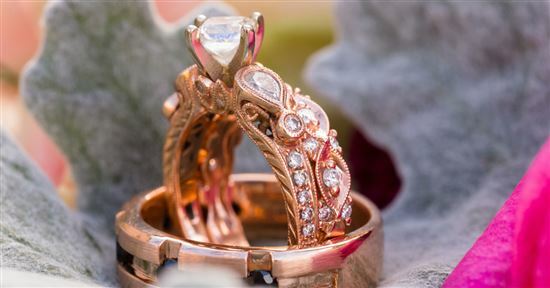 Share on Facebook "Rose Gold: Is This Romantic Pink Metal Right for You?"